White kitchens and baths are definitely the hottest trend I am seeing right now. It's also the subject I get asked about the most. From Carrara marble to white quartz there is a lot to consider when selecting white countertops. 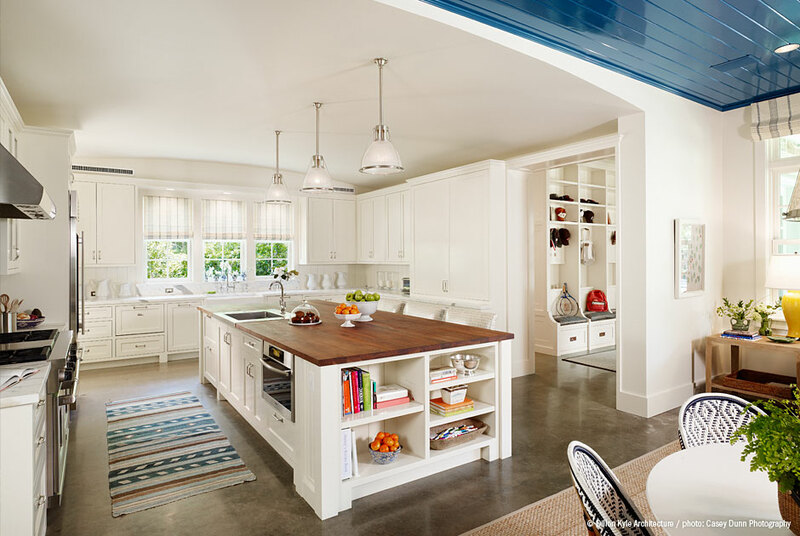 Often we see white kitchens with butcher block and wood countertops on the island. 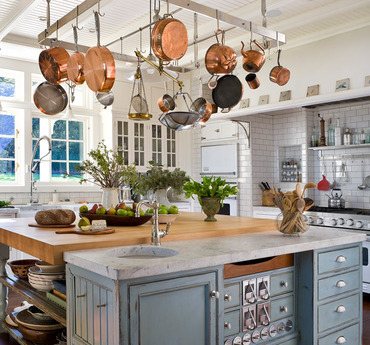 This element adds visual interest to the kitchen as well as warmth. Also, it helps keep the marble on the perimeter countertops in better shape when you have a separate/ different counter material for the acids that etch marble. Today all five kitchens have wood topped islands. What do you think of the mix in materials? This is one of my favorite looks! 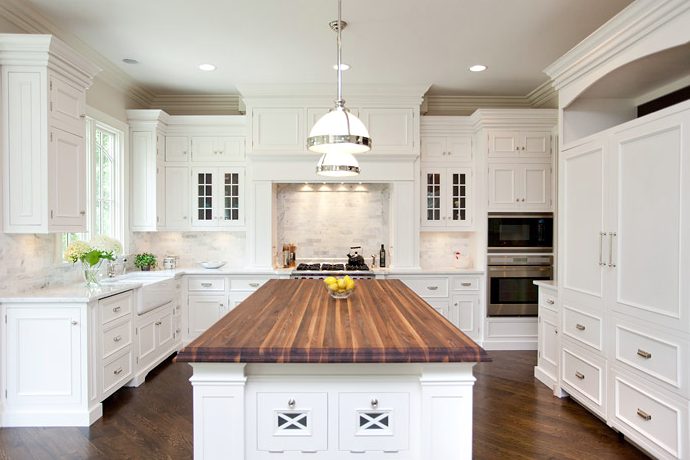 The wood islands are beautiful with the white!